Whoever said Mondays were dull? Poole’s Myriorama has, of course, been a regular treat for the people of Penzance. 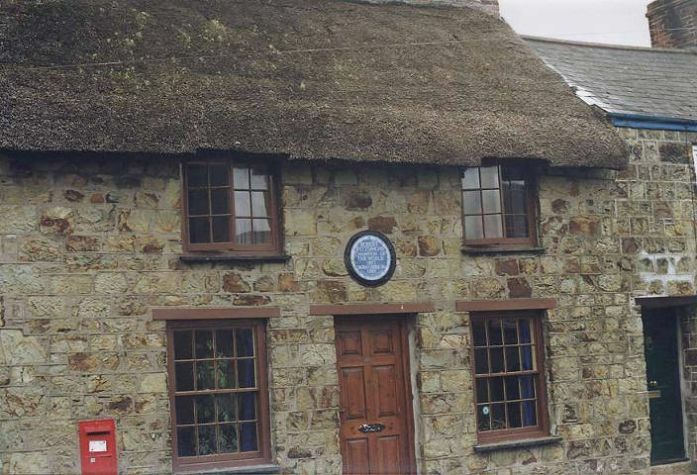 The company have “held front rank” as the Cornish Telegraph put it, and “each fresh visit only serves to show that every effort is still being successfully made for bringing the latest scientific novelties to the public”. And this year’s scientific novelty? The cine-phono-matagraph. This “wonderful arrangement” can bring operatic scenes and “celebrated London comedians”, straight to the heart of Penzance, with music playing along in the most realistic manner. So popular has the cine-phono-matagraph proved, that there’s a brand new show starting tonight: at last we can see for ourselves the Fitzsimmons-Jeffries fight on Coney Island a couple of years back, “round after round”, from start to finish: “the sparring for openings, the clinches, and finally” – a sad moment this, for all of us in West Cornwall, with Fitzsimmons being a local man – the “knockout blow” in the 11th round. Jeffries? He’s a massive chap weighing 15 stone, and younger too. But Fitzsimmons’ punching power is legendary, and the talk is that the two are going to meet in the ring again next year. So Monday not so dull in Penzance – and not in St Just, either. People came from miles around to see the cycle carnival – they say there were 2,000 lining the route. There were fireworks, torches and all kinds of bands and minstrels. But mostly, it was the characters in their costumes – the fun of trying to spot who’s who. Mr Veall had got himself up as Lord Kitchener, and Mr Rowe had gone all American as ‘Uncle Sam’. There was a goblin and an Italian, Buffalo Bill and Red Riding Hood; Mason’s Extract and Sunlight Soap – oh, and so many more. Moving pictures, and the best cycle carnival “witnessed for years”. And all this on an end-of-season Monday. ‘Whatever next?’ we ask. What else does this new century have in store? You can see part of the Fitzsimmons fight for yourself on YouTube (accessed 26 8 2018). Fitzsimmons, who was born in Helston, is apparently the one in the dark trunks. 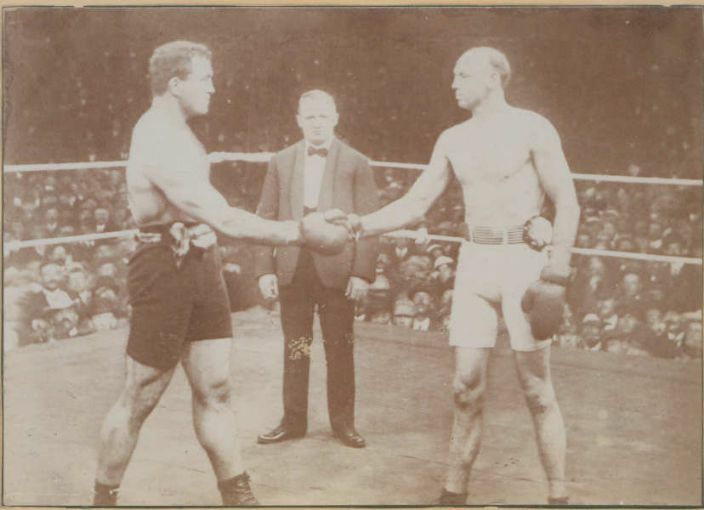 In 1902, the two fought again in what seems to have been an unusually brutal contest, from which Jeffries – despite broken nose and cheekbone – emerged once more victorious. See Bob Fitzsimmons on Wikipedia (accessed 26 8 2018). The word ‘cine-phono-matagraph’ presents us with the sort of mystery that keeps the historian happily occupied down a rabbit-hole for an entire evening. It presumably indicates that the film footage was accompanied by recorded sound. The word appears in both local newspaper stories (though variously spelt) and in the advertisement, but the only on-line reference to the word occurs in its Italian form – “the most recent, most strange and wonderful application of electricity is the cine-phonograph (‘cinematofonografo’), which, for now, however, is only in America. Rather, is only in the workshop of Mr. Edison” see Jstor (accessed 26 8 2018) quote attributed to “Edipi”, who is equally elusive.